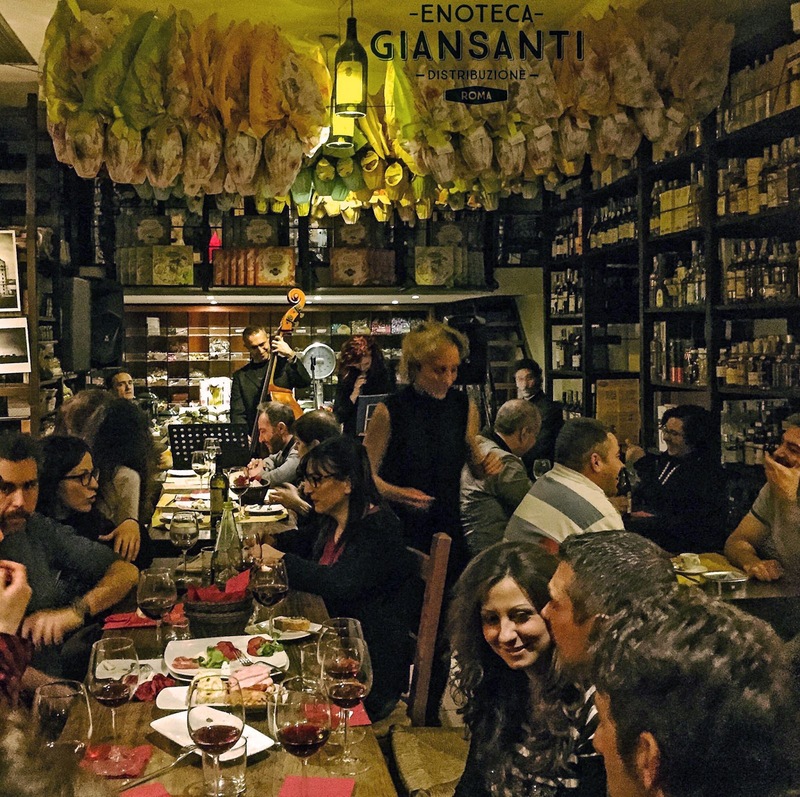 An informal but classic evening of live music in a Roman wine bar-bistrot. We're going to nab a table at the next "Giansanti Jam Night" featuring the Giulia Bellachioma Trio. Their repertoire ranges from jazz standards to American song classics, plus original pieces and new arrangements. Join us for for another enogastronomic-musical exploration with friends! Cost: concert free; food and drink choices à la carte, no-host/pay-your-own. RSVP: by Wed. Mar. 29th to canadarome@gmail.com ATTN Anna if you'd like to join our table for a bite to eat at 8 p.m.